My dermatologist sells this product for substantially more. It is her favorite day skin treatment. A bottle lasts about 3 months. TNS Recovery Complex incorporates the highest concentration of a patented growth factor blend- 93.6% Tissue Nutrient Solution (TNS) with over 380 growth factors and cytokines identified. TNS is the main ingredient in the potent TNS Recovery Complex skin treatment which is formulated from naturally occurring growth factors, antioxidants, soluble collagen, cytokines and matrix proteins. This was my first time using this line. I bought it primarily because of a CO2 laser treatment I was going to get. I don’t really get what all the buzz is about this product; do you people use brands like Murad, Herbivore, Exuviance, Dr. Brandt, etc...? Personally, I get better results with these other reputable brands that do not cost nearly as much as this crap. I will say I have had no bad side-effects from using this product. It just doesn’t seem to do a thing. I would not recommend this product to a friend. This is the only facial product that has made an impact on fine lines and wrinkles and I have spent thousands of dollars on products that promise they do the same but they don't. Pricey but your face is worth it. I have bee using this product for over a year and love the results. The price on Overstock is 40% lower then when I buy it at the local MedSpa and the product I received is exactly the same. Can't beat the price! I love these products. They do work well. I was hesitant to purchase based upon other posts that stated this is not the same profit since you have to buy from a dermatologist to get it; but it is the real deal. Great value and I will buy again. Saved over $100 off what my dermatologist office charges. I luv the Skinmedica TNS Recovery Complex. It easily makes me look 10 years younger. Works instantly in reversing the appearance of wrinkles and brightens and hydrates the skin. 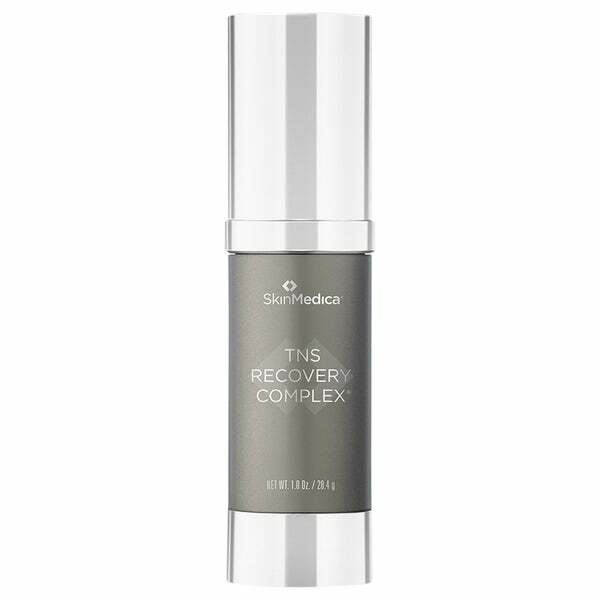 I always get compliments on my skin every time I use the TNS recovery complex. So delighted I found a place to buy this at a price I can more easily afford. Not cheap but worth every penny. I've been using TNS Recovery Complex for over 10 years and I swear by it. My skin texture, tone, and fine lines have remained the same. It's been totally worth the investment over the past decade. Exactly like when I buy from the dermatologist - shrink wrapped and in all official SkinMedica packaging. This is a recent addition to my skin care regime (before I used the HA5, TNS eye repair, Dermal Repair Cream & Lytera). I think that this is a good product. It marries well with the other SkinMedica items that I currently use (ex. it doesn't bead, separate or make my skin oily or anything). Really like it. I haven't noticed any change but I think I will notice down the road. TNS is the gold standard for skincare at the highest level. 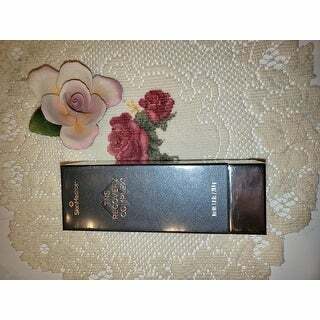 This product does not disappoint and delivers smoothness, clarity, eveness and hydration. The micronized fibroblast media proteins repair damaged skin at the cellular level and its peotides enhance skin's regenerative process. I use this every morning with TNS essential serum followed by my routine moisturizer and treatment oil. Makeup goes on like a dream! Go for it! Best serum on the market hands down. Growth factors truly rejuvenate skin. Slightly tacky feel when first applied which goes away in seconds for a weightless feel. Having used SkinMedica for many years I can say all of the products have done wonderful things to my face. TNS Recovery has really changed the texture of my skin for the better. I recently starting derma rolling and use this serum right afterwards and the difference it has made has been amazing! Purchasing this product on Overstock is wonderful instead of paying double at my Dermatologists office. I have purchased almost all of the Dermalogica products from Overstock and have been more than pleased! Very happy with this product and the price is amazing! This is the only product that causes people to notice improvement in my skin. I’ve used it on and off for years; nothing compares. Well worth the money! I am 76 and had a very bad acne skin as a child. Through my life I never had time to try and make serious thought about improving my facial skin. I read in a book about SkinMedica and what a great product it really is. Those large crevices on the left side of my face are now slowly disappearing. This is expensive but with Overstock the price isn’t as bad. I have bought this same product from my dermatologist and it is not even close to this price. I am so happy that I found it at such a great deal and could stock up on it. The OS rep said they certified it is a true Skin Medica product. YEAH! This product shipped very fast. As far as skincare goes, even my ENT/plastic surgeon uses it everyday. The results of this serum are immediate. Within 24 hours, I was looking at a younger face in the mirror. I had to have some extensive surgery done to open my sinuses, and that's when Dr. H told me about SkinMedica. His esthetician was giving me some product to help with scarring and that when I saw this product in the office. In the Dr.'s office, it sold for $. I found it on Overstock for SO MUCH less!!! I am a repeat customer. I recently went to my ophthalmologist, and she stated, "You keep getting younger every time I see you!". Then she requested if she could take my photo in my new sunglasses for her website! Just hit 60 and looking 40ish. Thank you Overstock!!! I love this product. I've already had people ask me what I'm doing differently for my skin after about 2 weeks of using it! Definitely worth the investment. I purchase this all the time and it’s an amazing product at an amazing price. Authentic and would highly recommend! This was recommended to me by my dermatologist and I love how it immediately tightens my face when I use it. I like that you can control how much is dispensed through the pump so you don’t end up wasting product. I love the skin medica line. I had used it before and stopped. I then tried obaji and it's ok but to much work and I really didn't see the results with Obaji as I do with Skin Medica. I will be purchasing the lytera also for the spots on my face.I already purchased the skin medica everyday essentials set that I started using. Love the TNS serum leaves my skin so soft. I always get complements on my skin. "Skinmedica’s website lists overstock.com as an unauthorized retailer. They go in to say the product is probably expired or tampered with. What is the expiration on this product?" I have used this product for years. I am glad that Overstock offers it at the best price anywhere. The "drill hole" another reviewer mentioned is on all of the products. I purchased it from various places, including the SkinMedica website and my dermatologist's office. They all have a hole in the bottom. This is not a sign it has been tampered with. The only authorized retailers are doctors and the SkinMedica website, but it is available in a lot of "unauthorized retailers" including Amazon and the Skin Store. This product has a distinctive look (a red gel) and smell. I have never received anything but the real thing from an authorized or unauthorized retailer. Why pay more than you have to? Thank you for taking the time to answer this question! I’m glad to know that you noticed no difference when purchasing from overstock vs your dermatologist. As I recall it was very affective. This is what brought me to your site - the best price on my favorite (but too expensive) beauty product.Don't know if I'll continue purchasing if the price ches up thought, which it seems to be doing, even here.